Over the weekend Rep. Louie Gohmert from Texas and Rep. Ted Yoho from Florida offered themselves as alternatives to the status quo by jumping into the race for House Speaker. These Tea Party conservatives embody everything that the movement is all about. Sick and tired of career politicians, the Tea Party is all about changing and challenging the Washington norm. From backroom deals with Harry Reid to the "CRominbus" spending bill, the Republican leadership has played the role of "Democrat-lite." The "CRomnibus" bill funds all of ObamaCare in 2015, along with the President's executive "amnesty" and spends a total of $1.1 trillion dollars. Our national debt stands at $18 trillion dollars. Medicare, medicaid and social security, all entitlements, make up 50% of the Federal budget. The House Republicans have made no changes to these programs. 52% of Americans oppose the President's health care law. Republicans this last election cycle campaigned on repealing it. From John Boehner to Mitch McConnell, Republicans all across the country made a promise to their constituents that they would repeal and replace the President's disaster with free market health care reforms to bring down cost, as long as you voted for them. We voted, and they lied. The House Republicans said they would defund the President's executive amnesty. The Speaker of the House said that he would "fight tooth and nail" on the President's unilateral action. We were told that this would "poison the well" between the Republicans and the President and that there would be a price to pay. The Speaker of the House made these promises to the American people, and when push came to shove, the Speaker bowed out, caving into the President's demands, to the Chamber of Commerce, to the Establishment and to Democrats. The essence of the Tea Party is change, real change. Change from the current state of affairs in Washington. A move away from the pragmatist philosophy to one of principle, the Tea Party are conservative Americans; average Joes who work hard, save, live within their means and provide for their families. Those elected under the Tea Party banner listen to their constituents, follow through on their campaign promises and look to defend the Constitution. The Tea Party is all about keeping their word. Living up to what got them into office and never turning their backs on the people who put them there. It is truly symbolic that these group of Republicans would be elected to the House of Representatives, the House that our Founders envisioned would represent the direct needs of the People. They understand that they work for us, for the People. Louie Gohmert embodies this. He has called out the Speaker several times and with this challenge to John Boehner's leadership, he and all the other conservatives in the House risk their jobs and their committee seats. They understand that if the current leadership is not working, it's their job to change it. 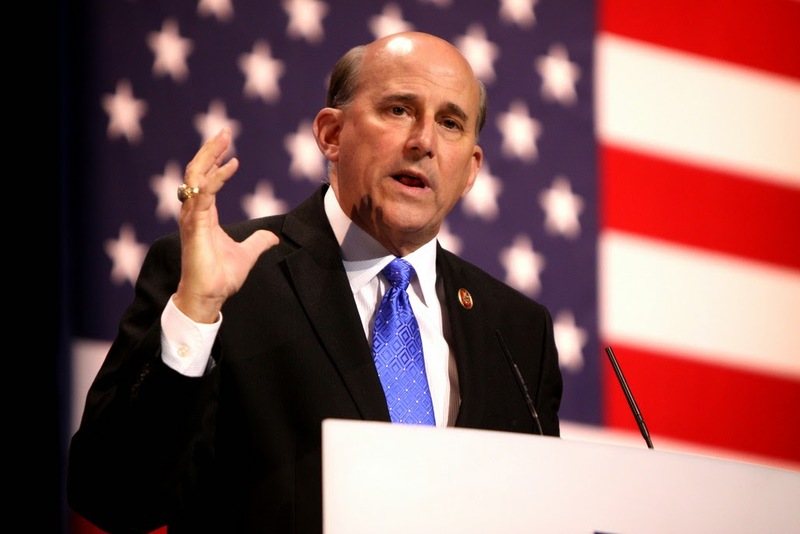 I support Louie Gohmert for Speaker of the House of Representatives.